I am a Person Centred and Integrative Clinical Supervisor, offering supervision, support & guidance to counsellors, student counsellors and those in the helping professions. Having completed a Diploma in Counselling Supervision since qualifying as a Counsellor in 2006, I have gained a lot of experience and knowledge over the years. 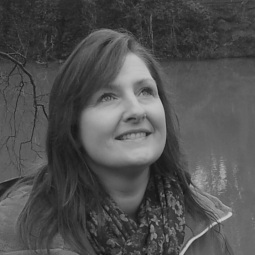 I work privately online and in Urmston and also supervise at The Family and Counselling Centre in Altrincham. I adhere to The BACP Ethical Framework and practice the “Seven Eyed Model” of supervision. Provide a safe space to address client's needs. Maintain an open supervisory relationship. Monitor safeguarding and ethical issues. Manage the overall agenda for sessions. Exploration and growth of supervisee work. To ensure accountability of supervisee. Give feedback and challenge approaches. Take supervisory notes and keep confidentially. Practise in accordance with the BACP Ethical Framework. Continue to provide practise insurance. To keep myself safe as a practitioner. To work in line with GDPR data protection guidelines. Be open to exploration and discussion. Make the best use of the time available. Apply learning to your work. Feel empowered as a counsellor. Follow your code of ethics. Work in the best interests of your clients. To keep yourself safe as a practitioner. To work in-line with GDPR guidelines. Please Get In Touch to discuss your interest in BACP counselling supervision.